This is the second in a series of two articles on Birdlife International’s report ‘State of the World’s Birds 2018 – Taking the Pulse of the Planet’. The recently published report called the ‘State of the World’s Birds 2018’ prepared by Birdlife International sends a stark warning to us all. Forty per cent of the world’s 10,500 bird species are in decline and 12.5 per cent are in danger of global extinction. Birds are found in all places on Earth and many of them travel across the planetary ecosystems. This makes them a perfect indicator of the state of the worldwide environment, and it is not looking good. Thomas Lovejoy, National Geographic scientist, biologist and conservationist, said: “If you take care of the birds, you take care of most of the big problems in the world.” He has long and rightly predicted that by early in the 21st century, the Earth would start losing a dramatic number of species. This extinction event is only the sixth in the Earth’s 4.5 billion years of existence and it is happening under our watch. We should be tru­ly ashamed. Species are disappearing 100 to 10,000 times faster than the natural rate. The worldwide devastation of bird species is caused by pesticides, over-consumption, deforestation, logging, introduction of alien species, climate change, hunting, poaching and trapping, intensity of human travel and over-fishing. All these factors have one thing in common – they are all directly caused by humans. Not surprisingly the solutions lie in the opposite behaviour to the one causing the problem. We need to protect the Bird and Biodiversity Areas worldwide and increase their numbers and size; restore habitats so that species can function according to their social order – we are losing 10 billion trees a year; eradicate and control alien invasive species; urgently act to stop the sharp decline in population numbers that is affecting over 50 per cent of all bird species – this would probably involve captive breeding for reintroduction in the wild; and dramatically curb the over-exploitation of birds caused by hunting, poaching and trapping and the bycatch of seabirds by fisheries. Campaigning and education would play an important role in reversing of this hugely negative trend but these efforts would take too long and we do not have time if we are to save half the bird species of the world from extinction. Legis­lative intervention followed by unprecedented enforcement is ne­cessary. Wretched indeed is the day when politicians doing the right thing is all we have left to hope for. Conservation does work, and a very small number of species (25) has been brought back from the edge of extinction in the past 100 years. This is a precious result but it is only 0.2 per cent of the total. 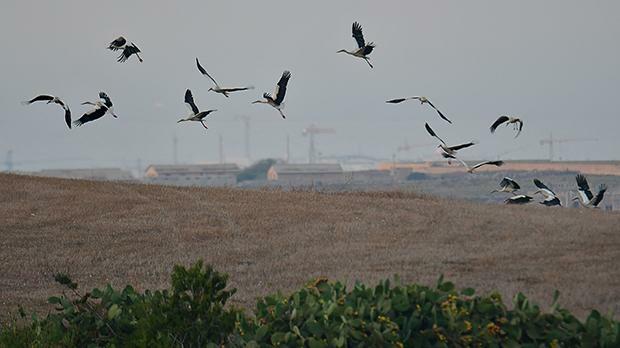 There is no doubt that without the conservation efforts by NGOs like Birdlife the situation would be much worse. Solutions for the tragic situation that the natural world is in unfailingly hit the wall of lack of political will. The planet’s life support system is in freefall and what are politicians doing about it? Destruction of the environment is sanctioned by local governments, but when it comes to remedial actions we are told this has to be discussed at EU or other international level. This is dishonest. The environmental situation in most countries (Malta included) is a national emergency. In my opinion the military at national and international level should be brought in to protect and restore species and habitats in severe decline or under threat of extinction. I believe conservation to be a human right – we have a right to defend other species, protect and restore habitats. These rights are at the very least equal to the rights given to the some to kill and destroy. We and future generations have a right to the regenerative, fully functional, life-giving planetary ecosystems – the biosphere. This is our birthright. In fact, all these rights should be entrenched in our constitutions in such a way that they cannot ever be removed. If our religions and our societal norms and values stand for anything at all, they should stand behind the right to life on Earth. Every government has a duty of care towards its citizens that is superior to any electoral manifesto promise. The United Nations have, by this charter, declared a causal relationship between the degradation of nature and the loss of social cohesion and the breakdown of civilisation. The reverse is also true, of course, meaning that healthy and functioning planetary ecosystems will promote social cohesion and a blossoming of civilisation. Think well and hard about what you have just read. Moreover the charter also states that “the principles set forth in this charter shall be reflected in the law and practice of each State as well as at international level”. Politicians, please listen up! So, inform yourself as to the state of all life on Earth. Support environment NGOs with your time. Use your purchasing power and vote to protect your life-support system, the biosphere. Remember that the Earth is your home and that all other sentient life on Earth, who also call this blue planet their home, have an equal right to life.